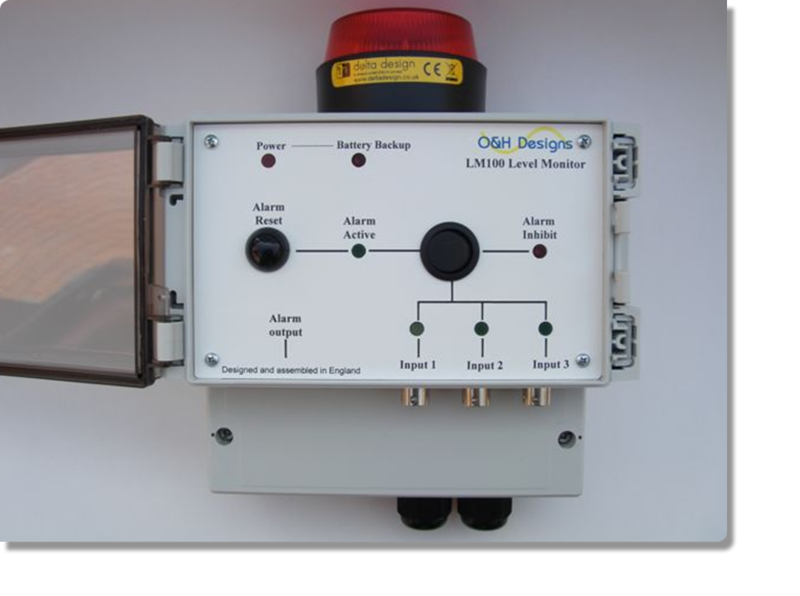 LM100 Level monitoring system. A novel three channel level monitoring system which was used to establish a constant flow/level of water through a header re-circulation tank. Sealed to IP66 the system employed integral battery backup & alarm beacons plus latched relay outputs to a central alarm panel.